Jack ‘n Jill Nova, your favorite fiber-rich multigrain snack, invites everyone to kick-start the fit and active life that they’ve always wanted through the Nova Life Active Pass program – a six-month-long series of fun and interactive fitness classes for different lifestyles. Starting July until December, the program will provide passes to fun fitness activities. These classes will change every month to help people discover the activity that fits them best, with each class to be taught by industry pros. Experience ‘breaking it down’ with World Hip-hop Dance Championship placer Legit Status at the Groove Central Studio in July, and crank it up by indoor cycling with the team at Centro Fitness Club in August. Come September, discover the thrills of skateboarding with the multi-awarded members of Ragdoll Development at Vista Valley Executive Village Basketball Court. Learn wall climbing with the team of Climb Central Manila in October, and join a frisbee scrimmage with Peng Manlapaz, the captain and coach of national champions Sunken Pleasure, at The Camp, Taguig in November. Finally, in December, sweat it out in simultaneous boxing classes in Elorde Katipunan and Las Piñas. 1. Join Nova’s Facebook promos. 2. Pre-register by participating in the activity booths in partner venues a week before the scheduled class. 3. or simply walk-in during class day with a couple of packs of Nova. Aside from the privilege of learning from the pros, participants also get the chance to win awesome prizes and bring home exciting giveaways. 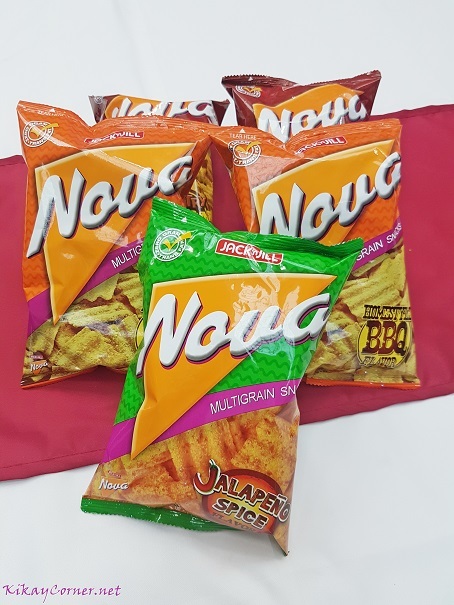 Now you can get that active lifestyle the way you want to and live the Nova life– no more holding back on all the fun you’ll have, just like how you can indulge and enjoy as much of the multigrain goodness of Jack ‘n Jill Nova. Be part of the Nova Life Active Pass and discover a fun and fit lifestyle best enjoyed with Nova. Make sure to follow Nova on Facebook and #livetheNOVAlife.